It seems such a silly thing to me to ban books for children. Any one who knows kids will tell you that to forbid something makes it that much more enticing. Even if they weren't initially interested, telling them not to do something almost always ensures that they will. Which is okay with me because kids are supposed to test their limits and boundaries. That's how they learn to be adults who understand action and consequence. 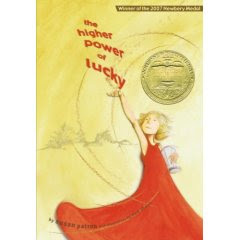 When The Higher Power of Lucky by Susan Patron won the 2007 Newberry Medal this year, it set off an amazing brouhaha that did not put school librarians in a very good light. Schools are fighting for resources, fighting for relevance, fighting for change - and the last thing they want to do is fight with parents who are up in arms about "bad" language. So, some school librarians preemptively struck the title from their lists. Now the fact that most public and school libraries make it a point to have multiple copies of the entire list of Newberry and Caldecott award titles made this news. What makes it sad is that the wonderful story of a plucky girl who takes charge of her history, her pain, and her future took a backseat to ONE vocabulary word which happens to be the last word of the second paragraph on page one. I'm sure that many people never read beyond the second paragraph. That the name of a body part (which we do teach in school, by the way) could be the catalyst for such nonsense - particularly in light of what kids can see on network TV any day of the week - was surprising. After months of media attention, the controversy settled down and many school libraries quietly added the title to their collections. Like many other wonderful titles on the banned books list (check out the American Library Association), the issue will be resurrected annually at the beginning of the school year. 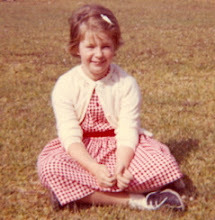 Author Susan Patron has spent her career as a children's librarian in the Los Angeles County Public Library so one would expect that she spends a lot of time with kids. Could the author have chosen a different word? Probably, but word choice is clearly in the realm of the author's creative imagination and process. And we have to assume that she crafted her story with care and chose her words intentionally. In a culture where "family" is continually being redefined, isn't it our responsibility to create mirrors for our children that illustrate and illuminate these various iterations of family so that more children can see themselves? Isn't that one of the primary roles of fiction? How revealing is it that knee-jerk reactions to a single word in a children's book tell us so much more about where our attention is as opposed to where it could be - like poverty and lack of basic healthcare for America's children. For another perspective of this title check out this posting at the Miss Rumphius Effect.